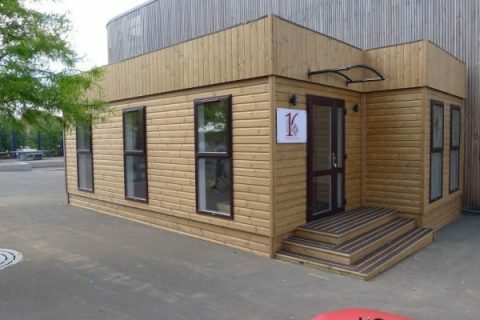 Modular buildings and portable cabins have been a common sight at nurseries, schools and further education establishments across the UK for a generation or more. Known in the industry as ‘mobiles’ or ‘mobile classrooms’, they provide the most cost-effective and time-efficient way to add capacity – making them ideal for growing schools. 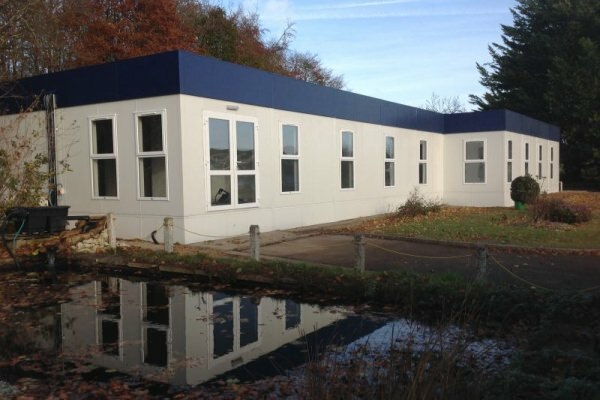 At Portable Building Sales, we’re one of the UK’s leading providers of modular buildings for schools. 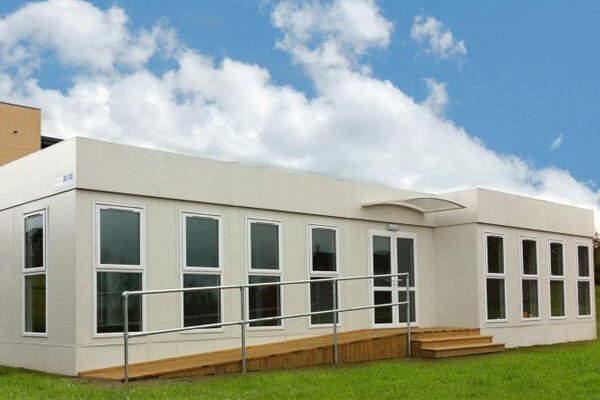 We provide a huge range of both portable and modular buildings created specifically for the education sector, from ready-made classrooms and nurseries, right across to new, bespoke modular buildings from our range of Clearview Modular Buildings. Versatile and adaptable, they can also be reconfigured should your requirements for space change. The aesthetically superior Clearview Modular Building (exclusively available from Portable Building Sales) was designed with education use in mind. Manufactured from hard-wearing, easy to clean materials, it provides a light, airy and nurturing internal environment, and is available in a comprehensive range of sizes, styles, layouts and finishes. 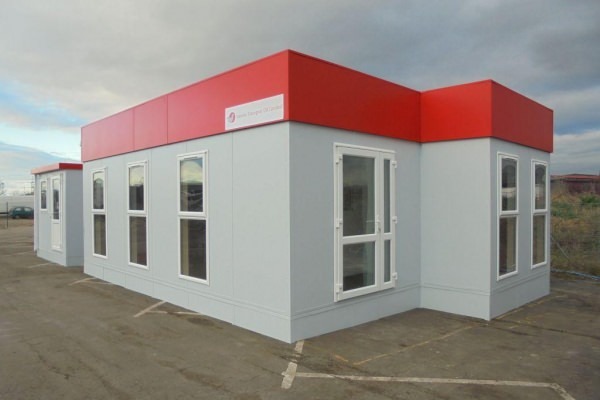 Find out more about The Clearview Modular Building or get in touch with an expert member of our education team on 01482 656590, or email contact@portablebuildingsales.co.uk with your requirements today. The light, bright and welcoming 34 – 52 place Clearview Nursery from Portable Building Sales is purpose-made for early years and pre-school teaching. Designed to provide a nurturing environment where children will flourish, it features hard-wearing, easy to clean materials, and full-length feature windows that maximise natural light. With a range of colours and internal layouts available, the Clearview Nursery is fully customisable, so you can create the clean, modern and multi-functional space that matches your requirements exactly. Competitively priced, and with a realistic working lifespan of 60 years or more, it's a long-term, cost effective solution that's suitable for any early years or pre-school establishment, and can be manufactured, delivered and installed in around 4 weeks. In addition to our in-house nursery design, our experienced team can also create fully bespoke Clearview nursery, early years and pre-school buildings in a full range of sizes, from 47m² right up to 500m² or more. You'll also find a selection of quality approved used buildings suitable for nursery and early years use over at our used modular buildings page – all available for immediate delivery. To discuss your individual requirements, please call our specialist nursery team today on 01482 656590, or email contact@portablebuildingsales.co.uk. Alternatively, fill out our contact form, and we'll get back to you as soon as we can. Add capacity to your primary school quickly and in a cost-effective manner with a high quality, aesthetically superior Clearview Modular Building from Portable Building Sales. Suitable for both temporary and long term use, the versatile Clearview modular classroom is purpose designed for the education sector. Available in a range of sizes (47m² to 500m²), colours and interior layouts, it can be configured to meet the needs of a full variety of educational uses. Providing a warm, light and nurturing environment that young pupils will thrive in, the Clearview is manufactured from hard-wearing, easy to clean materials and is designed to stand up to the wear and tear of a busy school environment. 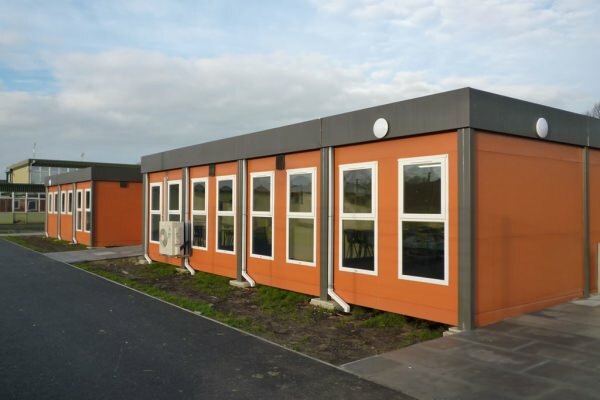 With a strong track record in working with Primary Schools of all sizes, nationwide, Portable Building Sales are here to ensure that you get the right, cost effective modular building, quickly and with the least amount of hassle. Working closely with your school from design to final installation, we'll work around your schedule to minimise disruption, and ensure you benefit from a professional, responsive and value for money service at every step of the way. For further information on how we can support your Primary school with a high quality new or used modular building, call our specialist primary school team today on 01482 656590, or email contact@portablebuildingsales.co.uk. 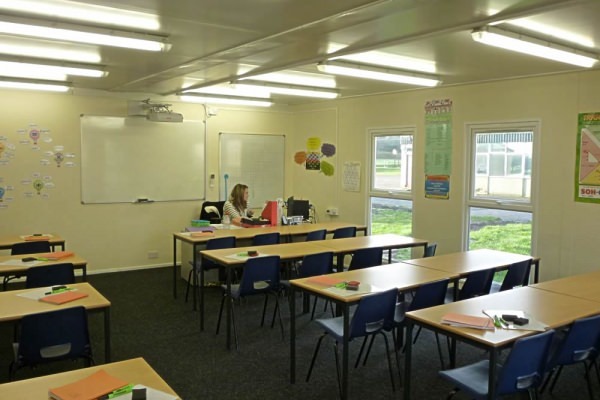 The Clearview modular classroom from Portable Building Sales is purpose-designed to meet the needs of modern secondary schools in the UK. With full-length feature windows to maximise natural light, advanced insulation to reduce heating costs, and durable materials that are built to stand up to the stresses and strains of a secondary school, it's a flexible, cost-effective way to add capacity. 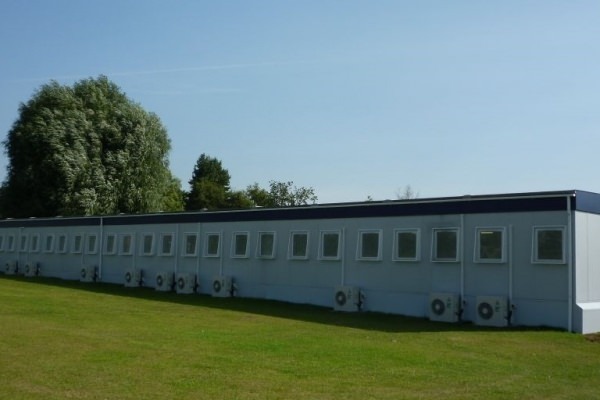 At Portable Building Sales, we've successfully installed modular buildings at secondary schools across the UK. Providing a flexible, responsive and end-to-end service, we offer both weekend and holiday installation to minimise disruption to your school. Tell us about your educational requirements and get the modular building that's right for your school by calling our secondary education team today on 01482 656590, or email contact@portablebuildingsales.co.uk. 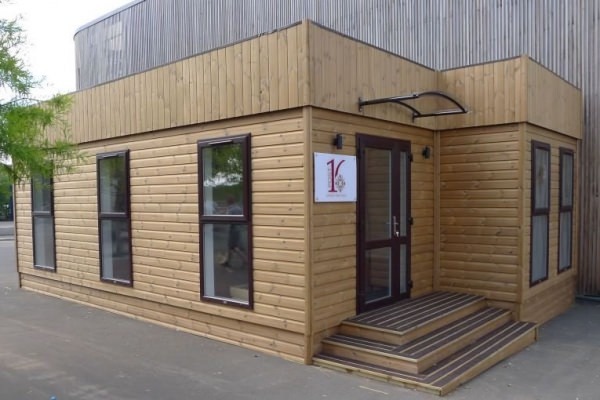 Modular buildings aren't just suitable for schools – they're perfect for all kinds of educational establishments, including 6th forms, colleges, universities and adult training centres. More affordable and quicker to build than traditional structures, they're a cost-effective, versatile option for any educational institution looking to expand its facilities or capacity. 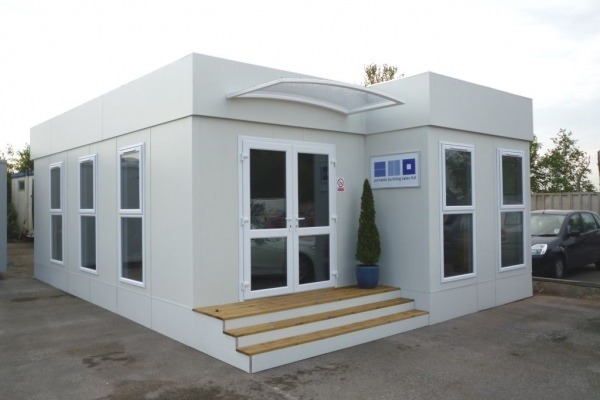 Come to Portable Building Sales, and we'll help you find the right modular building to suit your requirements. 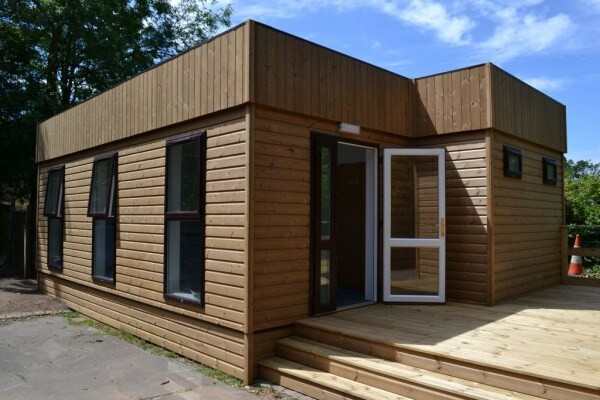 Our competitively priced, aesthetically superior Clearview Modular Building is ideal for a full range of educational uses, and is available in a wide range of customisable layouts, sizes and colours. Designed with feature windows that make it light, bright and welcoming inside, it's manufactured from hard-wearing materials and has a realistic working lifespan of 60 years or more. Made to order, to your exact specifications, it's available in as little as 4 weeks. You can also choose from a wide range of approved used modular buildings, available for immediate delivery nationwide. 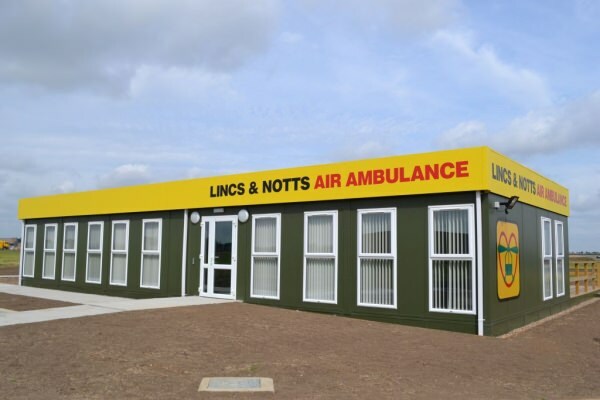 Browse through our modular buildings, call a member of our expert education team to discuss your requirements today on 01482 656590, or email contact@portablebuildingsales.co.uk.